Call center world with filled with countless jargons and technical terms which have confused various individuals from different sectors. Whether you wish to discuss call center operations with vendors like a ‘pro’ or just want to have insights about call center industry, first thing you have to do is clear your basics through terminology. Chief customer officer (CCO) – Also referred as customer experience officer, CCO takes care of customer experience metrics. CCO is also responsible for preparing strategies to improve customer satisfaction levels and analyzes customer responses. First call resolution – Resolving the query of customer when they call the customer support for the first time is referred as first call resolution. It ensures that customer is fully satisfied with the solution offered from the support during the first call and there is no need of customer to call again. Silent monitoring – Process of listening to an ongoing call between customers and call center agents by team leaders, quality analysts, managers or auditors. This process is used by almost every call center during training period of an agent. Several call centers which focus on quality also this method for continuous evaluation of agents. Interactive voice response (IVR) – It isan automated telephony system that uses phone keys or human voice as input. The responses are generated by IVR in the form of pre-recorded messages or using text-to-speech technology. Many call centers offer IVR development services in integration with regular customer support solutions. Contact Center – It is an evolved form of call center where multiple channels of customer communication are used rather than only phone calls. Different channels include email, social media and live chat. Data mining – In call centers, data mining is use of computerized methods for examining the data related to customers to generate essential insights and predicting customer behavior. Shared agents – These call center agents handle the calls of customers on behalf of more than one companies. 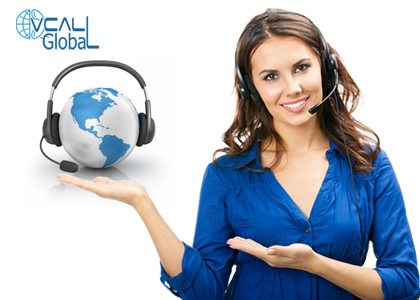 Companies usually choose this form of call center outsourcing when volume of calls in low as it is an economical model. Dedicated agents – These call center agents handle the calls of customers of only one specific client. This model is chosen when volume of calls is high. Call center metrics – Different formulas and methods of evaluating performance in a call center are referred as call center metrics. First call resolution (FCI), quality score and average handling time are some of the examples. Skill-based routing – The processof the transferring the call to an agent which is most suitable to attend the call on the basis of caller’s issues. It aims to fulfill the expectations of customers through the appropriate response by the agents. Voice over Internet Protocol (VoIP): Instead of regular phone calling system, VoIP uses internet for transmitting telephone data to enable communication. High speed internet and VoiP phones (or regular phone with adapters) are needed for effective application of this technology. Screen Pops: This technology integrates telephone and customer database so that agents can view information of the caller while receiving the calls. Average handling time (AHT): It is a metric which is calculated from customer’s initiation of the call till the disconnection of the call. Call center shrinkage: It is the time lost in activities which are not productive to the company like breaks, holidays, sick leaves and training sessions etc. Blended agent: A call center agent that handles both inbound and outbound calls for a specific project along with multiple customer support channels (if needed). Incremental value analysis: It is a method of measuring the value of every agent in a contact center (or call center). Wrap Time: It is referred as the total time taken by the agent to perform any transaction or work associated with a customer after the termination of a call. It is also known as after call work (ACW) time. After call work consists mainly of data entry work, form filling and activity codes. Disaster recovery plan: A contingency plan which is prepared by a call center in an organized manner so that calls can be transferred to another site in case of disastrous events. Holiday rush – In terms of call centers, holiday rush is defined as increase in the volume of calls to a substantial number during holiday season. Abandoned call – It is a call or some other form of contact which is terminated before beginning of a conversation. All these general and technical terms associated with call center are definitely going to increase your understanding of call center industry. We will explain more important terms related to call center process in our upcoming posts.